We've got you covered at home too. We help create health at home with great products and tips! At Chiropractic Wellness Connection, we take kids' health seriously and help to answer these questions and other questions that parents have. Use this interactive tool to guide you through your spine, subluxations, and symptoms. Canton, IL Chiropractor and Nutrition Coach for You. Whether it's pain relief or wellness care that you are seeking, Chiropractic Wellness Connection is the office for you and your family. Dr. Jennifer Daniel-Price and staff have been serving the Canton area and surrounding communities for over 15 years! Chiropractic Wellness Connection is your family health and wellness team in Canton, IL. Live FREE from Back pain, Neck pain, Sciatica, Headaches, Acid Reflux, Ear Infections and so much more. 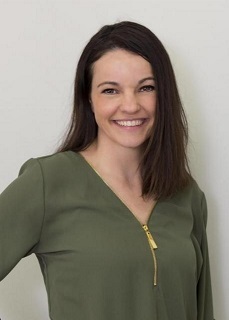 At Chiropractic Wellness Connection, Dr. Jen and staff are dedicated to helping you achieve your optimal health and wellness goals -- combining skills and expertise that span family chiropractic care, pediatric care, acupuncture, nutrition and functional medicine. We take pride in providing outstanding treatment for your entire family. Each treatment is individualized based on your condition, needs, and goals. So, Stop Waiting and Start Living Pain-free today by giving us at call at 309-647-7490.